Gov.Tanko Al-Makura of Nasarawa state on Tuesday, promised automatic employment to any newly deployed corps member who marries an indigene of the state. He made the pledge while addressing 2015 NYSC Batch ‘A’ corp members, during their swearing in- ceremony at Magaji Dan Yamusa permanent NYSC Orientation camp in Keffi Local Government Area of the state. He said that inter-marriage by corps members would not only foster unity, also promote peaceful co-existence among the people of the state and others states of the federation. He congratulated the corps members for the successful completion of their academic programmes at their various institutions of learning. “I urge you to use the lessons and experience you gained during this orientation course to develop yourselves, your host communities, the state and the Nigeria at large. “You should see yourselves as agent of positive change in the society. “I want to advise you to discharge your duties without fear or favour, and relate freely with your host communities. 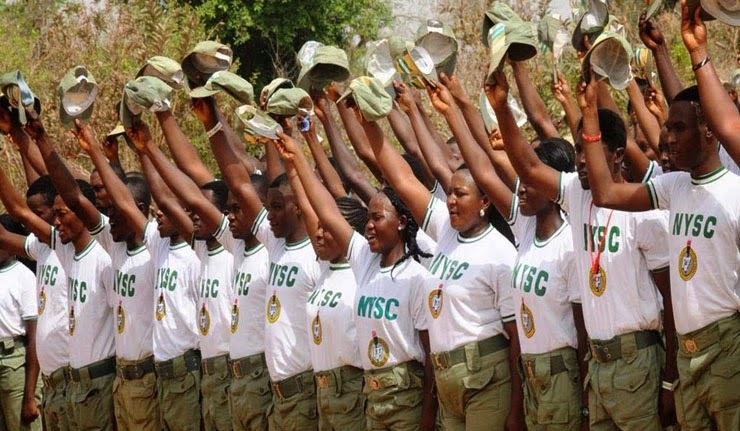 “I promise automatic employment to any NYSC Batch ‘A’ corps member who marries an indigenes in order to promote peaceful co-existence among the people of the state and other states of the country,” Al-Makura said.